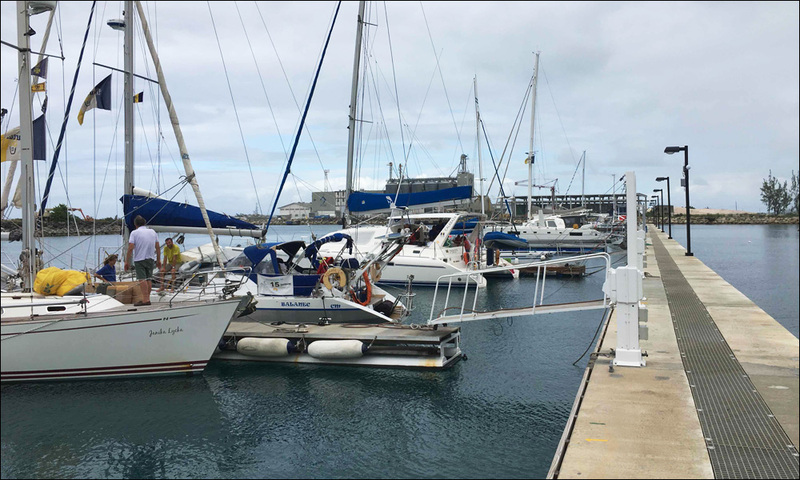 The new docking facility for visiting yachts arriving in Barbados has been very busy in the last 24 hours with nine more Barbados 50 yachts making landfall at the end of their transatlantic passage from the Cape Verde Islands. 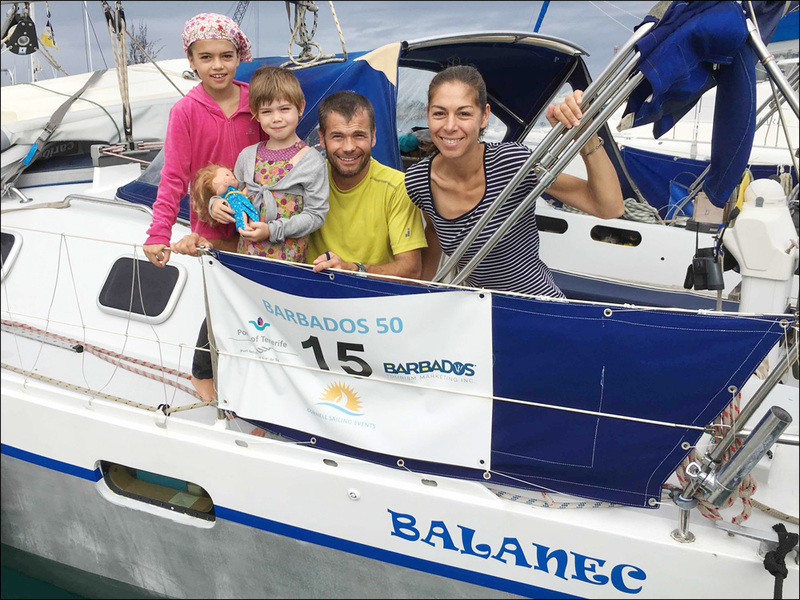 The first to arrive on day 5 was the French yacht Balanec followed a few minutes later by the British boat Janika Lycka. 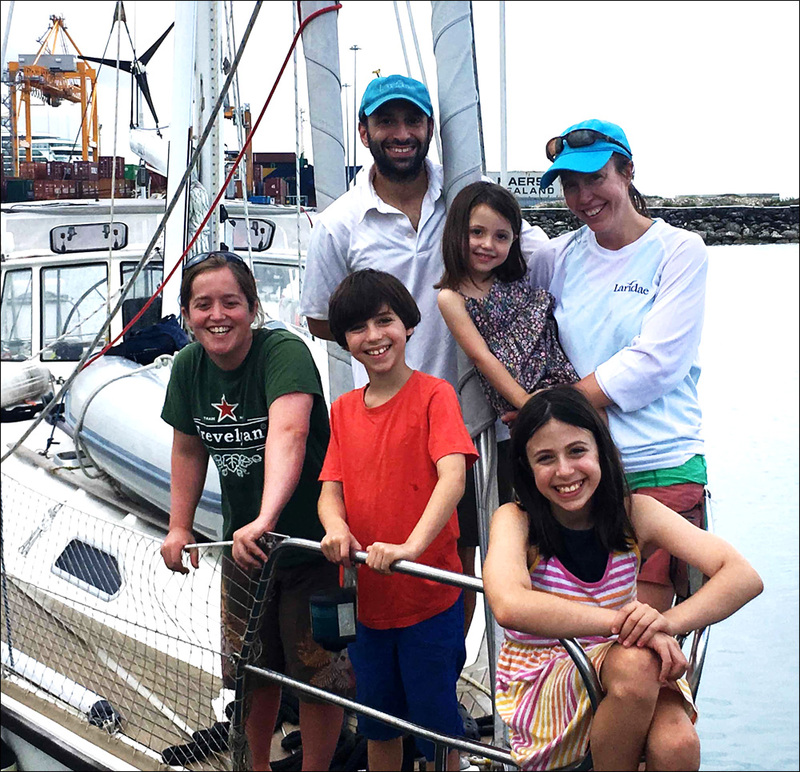 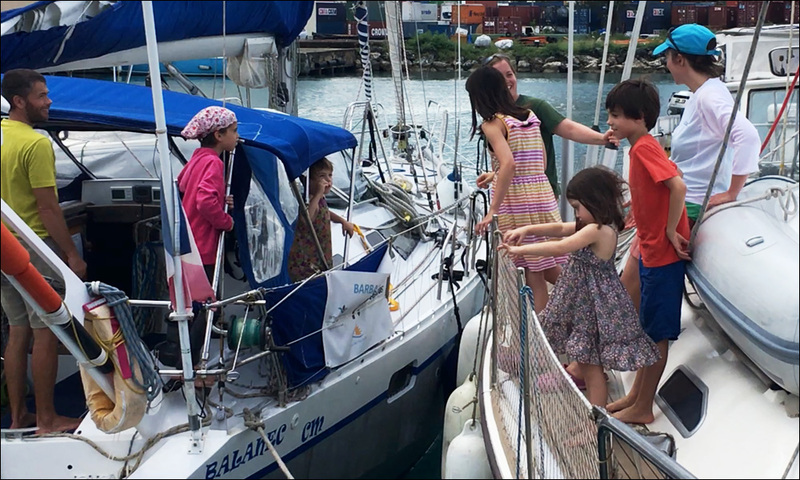 There was much excitement when Laridae pulled up alongside Balanec and the children on either side erupting in a chorus of happy greetings. 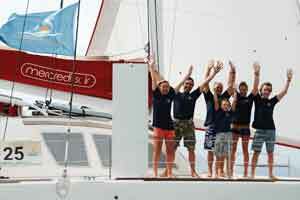 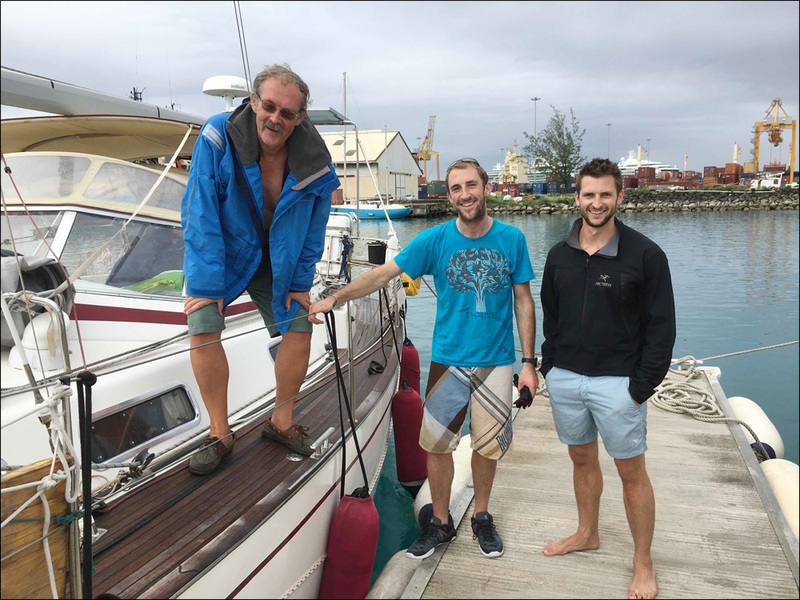 But the greatest excitement was the arrival of the Swiss yacht Maisie, one of only two boats in Barbados 50 to have started this epic journey in London at the end of July. 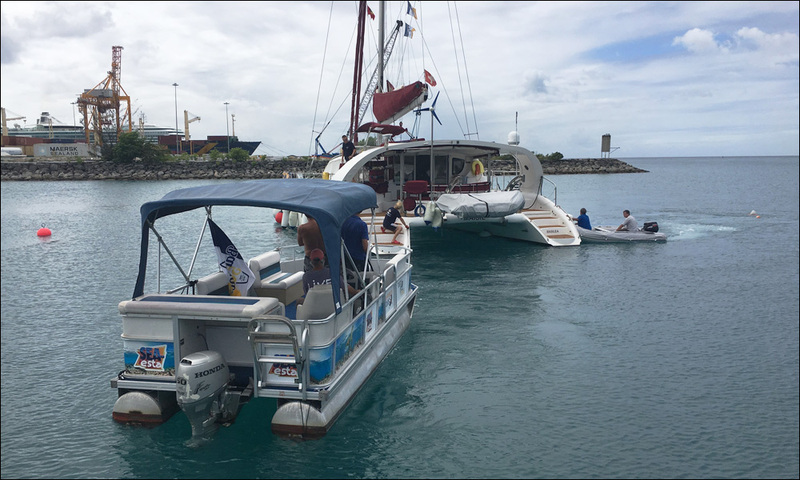 In the meantime several boats had moved into the inner basin, once known as the Careenage, in the very heart of the capital Bridgetown. 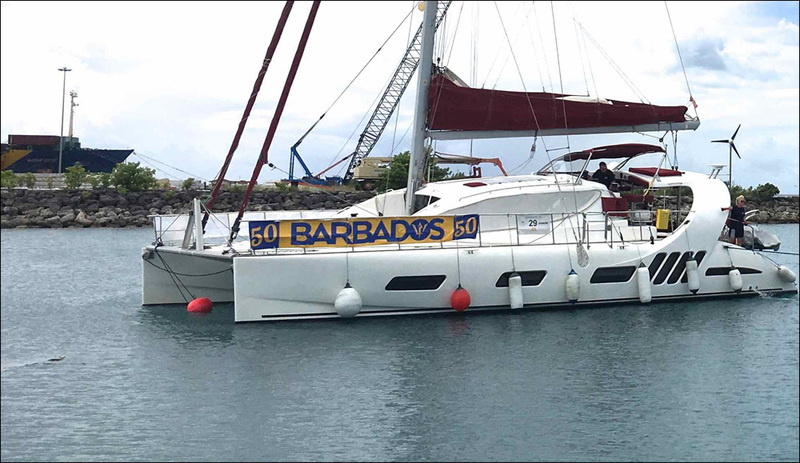 On Thursday evening the Barbados 50 crews, plus an audience of several hundred Bajans, were treated to a jazz concert, with the band playing right in front of the bows of their yachts. 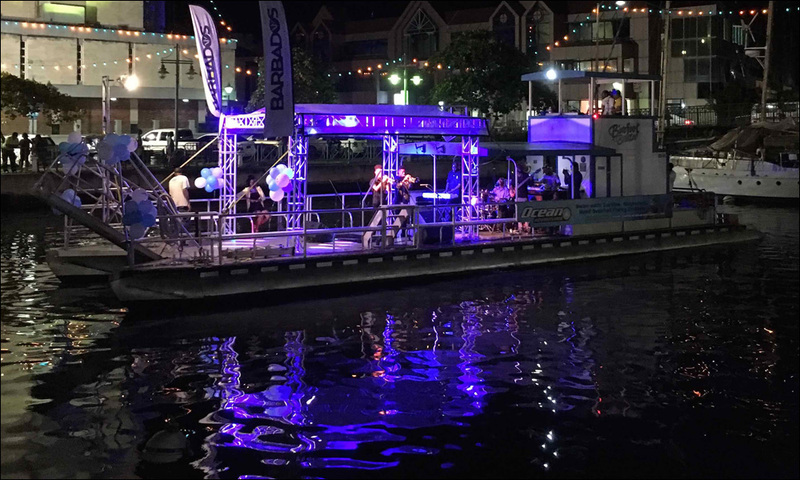 The area around the Careenage will be one of the venues for a variety of activities planned for the Independence festivities, and yesterday’s concert was just a foretaste of things to come. 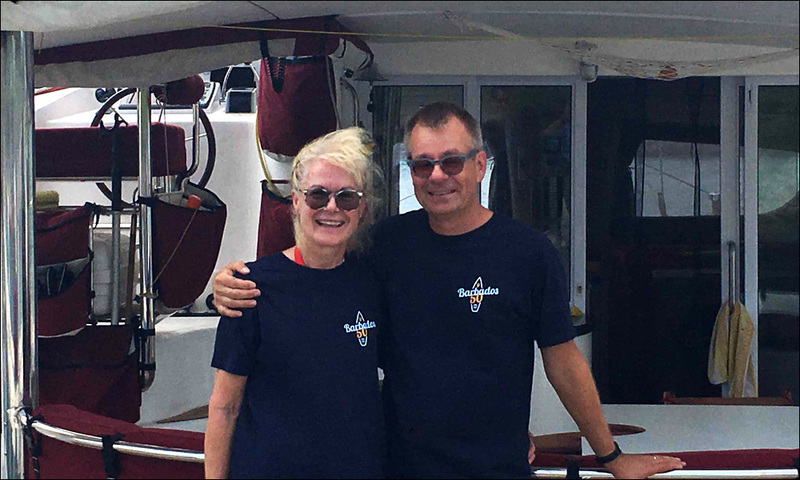 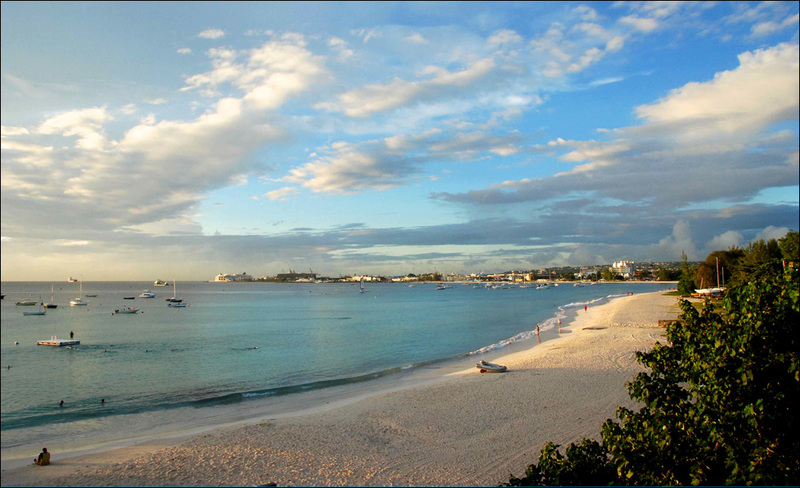 While most participants have opted for the Careenage, a few decided to anchor in Carlisle Bay and enjoy one of the best beaches in the Caribbean.